Masser Potato Farms grows, packages, and sells the full range of potato varieties, in packaging options that meet their customer and consumer needs. And although we don't grow sweet potatoes ourselves, we have identified a select group of like-minded sweet potato growers from which we procure high quality sweet potatoes to pack under our brand names. Whether it is a practical 5lb. bag of white, golden or russet potatoes or our successful Simply Spuds microwave and grill-ready line of fresh, convenient potatoes, Sterman Masser has the product to meet your shoppers' needs and grow your category! 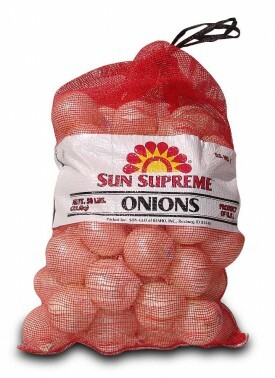 In addition to potatoes, our partnership in Fresh Solutions Network makes it possible for us to package and sell a full range of onions, available in the Basin Gold or Sun Supreme brand names, or in customer private label brands. 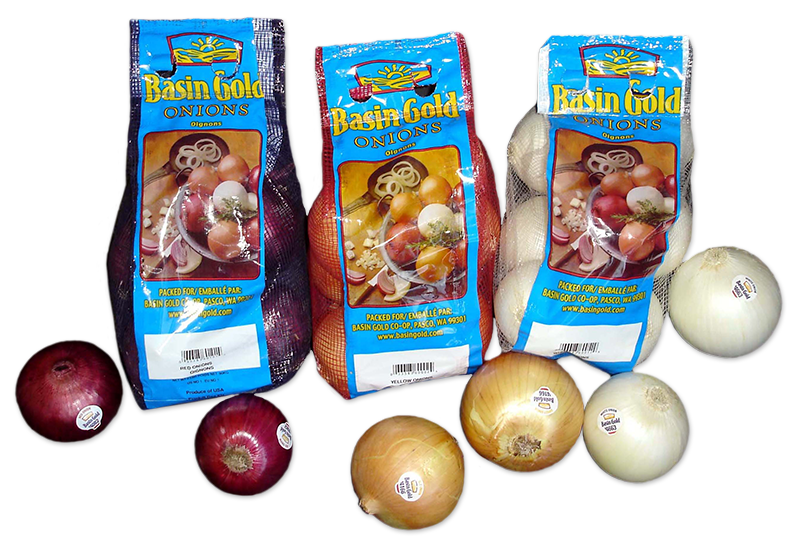 We also work closely with our customers to help them apply packaging best practices to their Private Label and "Own" brands, and are privileged to pack potatoes and onions under the brand names of some of the largest and most prestigious retailers and foodservice operators in the country. 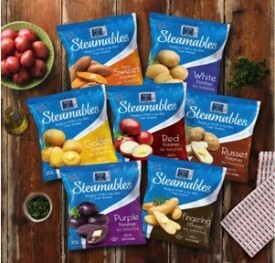 Learn more about the full line of Side Delight® Steamables™ potatoes at www.SideDelights.com and Facebook. Ready to eat in 8 minutes...light, fluffy, and delicious! 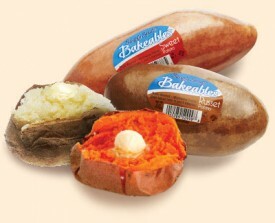 Learn more about the full line of Side Delight® Bakeables™ potatoes at www.SideDelights.com and Facebook. Baking potatoes on the grill has never been easier! 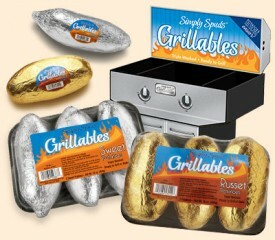 Learn more about the full line of Side Delight® Grillables™ potatoes at www.SideDelights.com and Facebook. Now it's easy to make every meal a little more interesting and enjoyable. 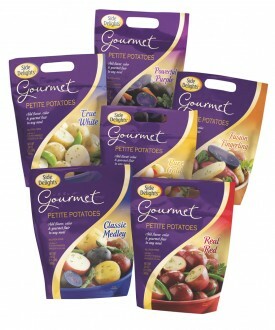 With Side Delights® Gourmet Petite Potatoes, you can add the flavor, color and excitement of the specialty potatoes you find in fine-dining restaurants and see on your favorite cooking shows to the meals you make at home. 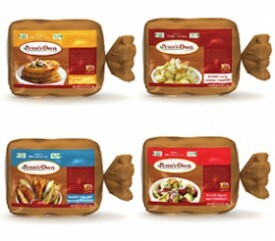 Learn more about the full line of Side Delight® Gourmet Petite Potatoes potatoes at www.SideDelights.com and Facebook. Triple-washed - ready to cook, season and eat! Only the coolest seasoning company to come along... ever! Only the purest ingredients go into these seasoning salts - if it sounds like a science project, it's NOT in here! 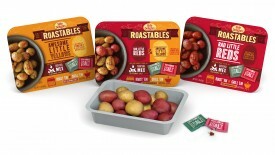 Learn more about the full line of Side Delight® Roastables™ potatoes at www.SideDelights.com and Facebook. Year after year, potatoes are the #1 favorite side dish in America. So you could say that they are the side dish that gives you the most delight...get it? 3 lb., 4 lb., 5 lb., 8 lb., 10lb. 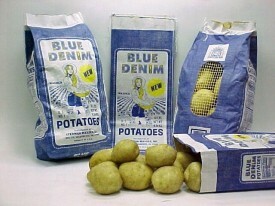 Learn more about the full line of Side Delight® potatoes at www.SideDelights.com and Facebook. Grown exclusively in the rich, fertile soils of the Pennsylvania valley regions, these creamy white and buttery golden potatoes have a distinctively delicious taste all their own. Because only qualified varieties grown in Pennsylvania can carry the Penn's Own brand name, you can be confident that the cooking and eating experience will be consistently delicious. Enjoy them in your favorite Pennsylvania Dutch recipes for authentic, home-grown flavor. Penn's Own is sold exclusively by Sterman Masser, Inc. and other members of Pennsylvania Co-Operative Potato Growers, Inc. and are available seasonally at grocery stores in Pennsylvania and the surrounding region. 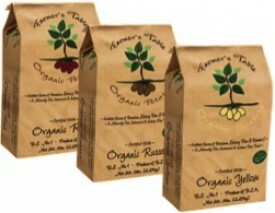 Naturally delicious, nutritious and certified Organic, Farmer's Table Organic Potatoes are available in Russet, Red, and Yellow Potato varieties and in both paper and poly bags. Our original and signature brand, these Pennsylvania-grown white potatoes are excellent for baking, frying, boiling, and mashing. Available in Red, Yellow, and White varieties, in both consumer packs and 50 lb. cartons and bags for bulk retail display or foodservice applications.